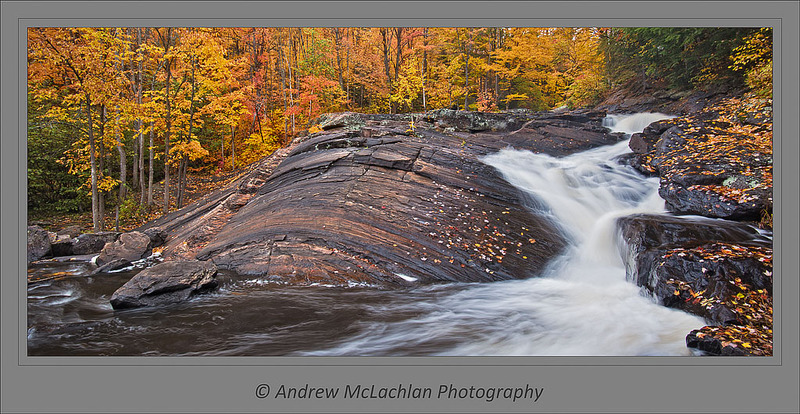 Several weeks ago I met up with fellow landscape photographer, the very talented Kyle McDougall at Stubb’s Falls in Arrowhead Provincial Park near Huntsville, Ontario. After spending numerous hours at this location we ventured a little further north to Brook’s Falls near the town of Emsdale. I am just now finding the time to process a few of the image files from this day. 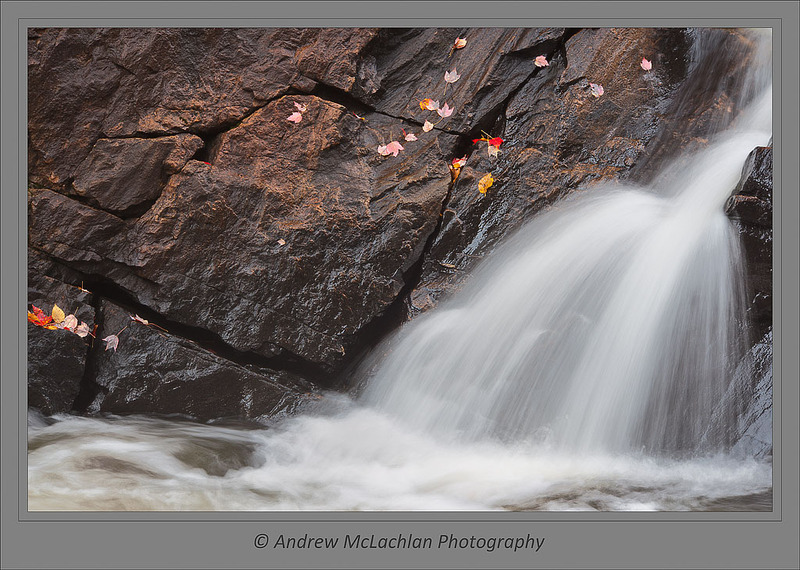 We were blessed with some lovely autumn colour and beautiful overcast light which makes for perfect waterfall photography conditions. Most often after I photograph a few images of the grand scene before me, I will often seek out the more intimate scenes that are not so readily apparent. My favorite lens for such intimate landscapes has always been the Nikon 80-400mm VR lens> On occasion I will use my Nikon 12-24mm lens when I wish to compose an intimate landscape image within tight quarters. 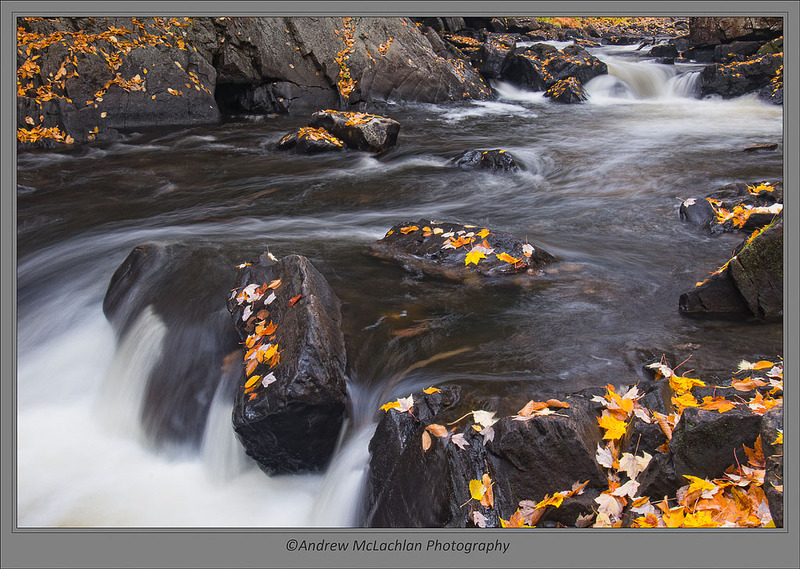 Below are a few intimate landscapes from the trip to Stubb’s Falls and Brook’s Falls. Please take a moment to indicate your favorite of the bunch. When you have a minute or two please do check out the additions to the blogroll which now include direct links to the blogs of Kyle McDougall, Mike Grandmaison, and John Shaw. In addition to these updates to the blogroll we now have a Twitter page. Click here for the Twitter page. The November issue of Denise Ippolito’s Creative Photography eMini-Magazine is now published. Please follow the image-link in the side-bar of the blog to be taken directly to the emini-magazine. If you would like a real treat head over to Denise’s A Creative Adventure Blog for an amazing collection of images from her recent travels to the Falkland Islands and South Georgia Island. Please remember to click on each of the photos to see a larger, sharper version. Thanks Frank…it is a beautiful location isn’t it! 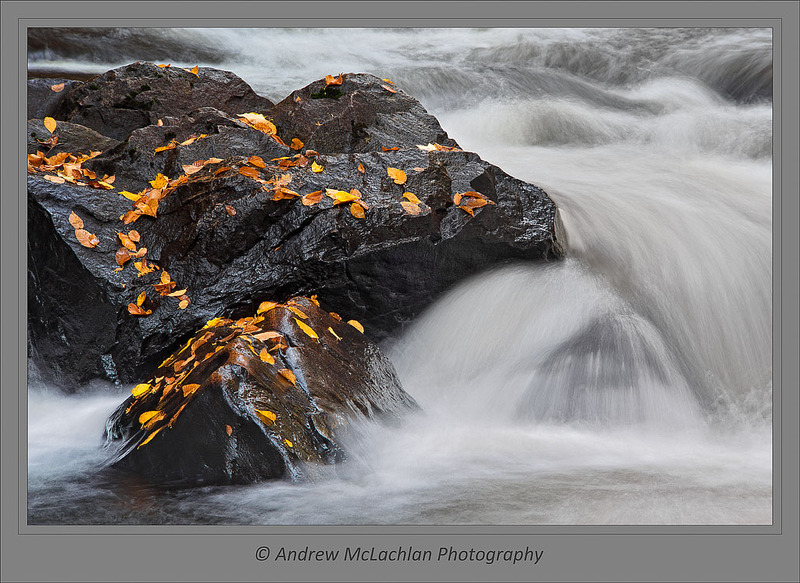 Really nice set of images Andrew, we sure had some great conditions that day! 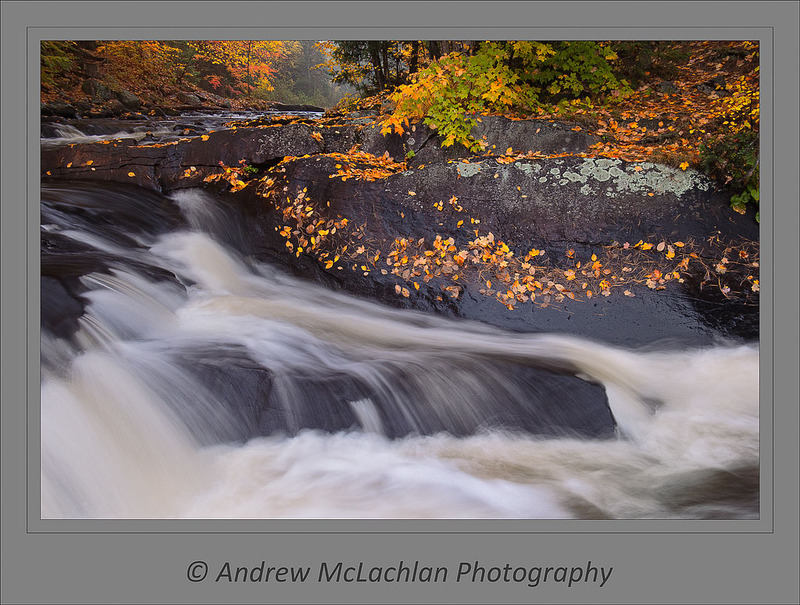 Thanks very much Kyle…look forward to photographing with you again this winter. Makes me want to come up to Ontario. Very nice shots!